Pulmonary aspiration is the entry of material such as pharyngeal secretions, food or drink, or stomach contents from the oropharynx or gastrointestinal tract into the larynx and lower respiratory tract, the portions of the respiratory system from the trachea (windpipe) to the lungs. A person may inhale the material, or it may be delivered into the tracheobronchial tree during positive pressure ventilation. When pulmonary aspiration occurs during eating and drinking, the aspirated material is often colloquially referred to as "going down the wrong pipe." The American Legion is a U.S. war veterans' organization headquartered in Indianapolis, Indiana. It is made up of state, U.S. territory, and overseas departments, and these are in turn made up of local posts. The legislative body of The American Legion is a national convention, held annually. The organization was founded on March 15, 1919, at the American Club near Place de la Concorde in Paris, France, by members of the American Expeditionary Forces, and it was chartered on September 16, 1919, by the U.S. Congress. Over 90% of cases of Legionnaires' disease are caused by Legionella pneumophila. Other types include L. longbeachae , L. feeleii , L. micdadei , and L. anisa . The most useful diagnostic tests detect the bacteria in coughed-up mucus, find Legionella antigens in urine samples, or allow comparison of Legionella antibody levels in two blood samples taken 3–6 weeks apart. A urine antigen test is simple, quick, and very reliable, but only detects L. pneumophila serogroup 1, which accounts for 70% of disease caused by L. pneumophila, which means use of the urine antigen test alone may miss as many as 30% of cases. This test was developed by Richard Kohler in 1982. When dealing with L. pneumophila serogroup 1, the urine antigen test is useful for early detection of Legionnaire's disease and initiation of treatment, and has been helpful in early detection of outbreaks. However, it does not identify the specific subtypes, so it cannot be used to match the person with the environmental source of infection. The Legionella bacteria can be cultured from sputum or other respiratory samples. 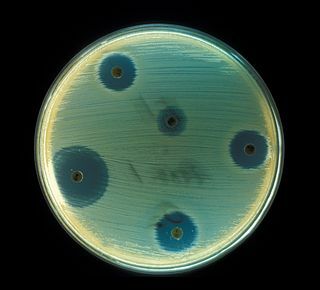 Legionella spp. stain poorly with Gram stain, stains positive with silver, and is cultured on charcoal yeast extract with iron and cysteine (CYE agar). Effective antibiotics include most macrolides, tetracyclines, ketolides, and quinolones. Legionella spp. multiply within the cell, so any effective treatment must have excellent intracellular penetration. Current treatments of choice are the respiratory tract quinolones (levofloxacin, moxifloxacin, gemifloxacin) or newer macrolides (azithromycin, clarithromycin, roxithromycin). The antibiotics used most frequently have been levofloxacin, doxycycline, and azithromycin. The mortality at the original American Legion convention in 1976 was high (29 deaths in 182 infected individuals  ) because the antibiotics used (including penicillins, cephalosporins, and aminoglycosides) had poor intracellular penetration. Mortality has plunged to less than 5% if therapy is started quickly. Delay in giving the appropriate antibiotic leads to higher mortality. Between 1995 and 2005, over 32,000 cases of Legionnaires' disease and more than 600 outbreaks were reported to the European Working Group for Legionella Infections. The data on Legionella are limited in developing countries and Legionella-related illnesses likely are underdiagnosed worldwide. Improvements in diagnosis and surveillance in developing countries would be expected to reveal far higher levels of morbidity and mortality than are currently recognised. Similarly, improved diagnosis of human illness related to Legionella species and serogroups other than Legionella pneumophila would improve knowledge about their incidence and spread. Legionella longbeachae is one species of the family Legionellaceae. It was first isolated from a patient in Long Beach, California. It is found predominantly in potting soil and compost. In humans, the infection is sometimes called Pontiac fever. 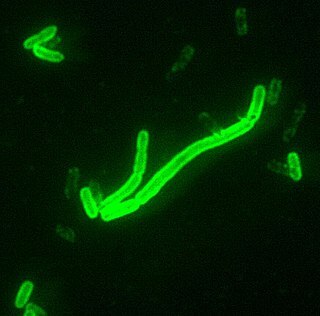 Human infection from L. longbeachae is particularly common in Australia, but cases have been documented in other countries including the United States, Japan, Greece and the UK. The Bovenkarspel legionellosis outbreak began on 25 February 1999 in Bovenkarspel, the Netherlands, and was one of the largest outbreaks of legionellosis in history. With at least 32 dead and 206 severe infections, it was the deadliest legionellosis outbreak since the original 1976 outbreak in Philadelphia, USA. In 2015, there were two outbreaks of Legionnaires' disease in the Bronx, New York City, United States. Between January and August 2015, one hundred and thirty people in New York City were infected with Legionnaires', but the majority of them were in the Bronx. 1 2 3 4 5 6 Cunha, BA; Burillo, A; Bouza, E (23 January 2016). "Legionnaires' disease". Lancet. 387 (10016): 376–85. doi:10.1016/s0140-6736(15)60078-2. PMID 26231463. 1 2 3 4 "Legionella (Legionnaires' Disease and Pontiac Fever) Signs and Symptoms". CDC. January 26, 2016. Archived from the original on 12 March 2016. Retrieved 21 March 2016. 1 2 "Legionella (Legionnaires' Disease and Pontiac Fever) About the Disease". CDC. January 26, 2016. Archived from the original on 25 March 2016. Retrieved 21 March 2016. 1 2 3 4 5 6 7 "Legionella (Legionnaires' Disease and Pontiac Fever) Causes and Transmission". CDC. March 9, 2016. Archived from the original on 25 March 2016. Retrieved 21 March 2016. 1 2 "Legionella (Legionnaires' Disease and Pontiac Fever) People at Risk". CDC. January 26, 2016. Archived from the original on 27 March 2016. Retrieved 21 March 2016. 1 2 "Legionella (Legionnaires' Disease and Pontiac Fever) Diagnostic Testing". CDC. November 3, 2015. Archived from the original on 12 March 2016. Retrieved 21 March 2016. 1 2 3 "Legionella (Legionnaires' Disease and Pontiac Fever) Prevention". CDC. January 26, 2016. Archived from the original on 25 March 2016. Retrieved 21 March 2016. 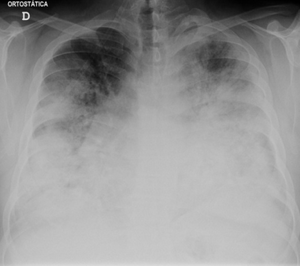 1 2 3 4 "Legionella (Legionnaires' Disease and Pontiac Fever) Treatment and Complications". CDC. January 26, 2016. Archived from the original on 29 March 2016. Retrieved 21 March 2016. 1 2 3 "Legionella (Legionnaires' Disease and Pontiac Fever) History and Disease Patterns". CDC. January 22, 2016. Archived from the original on 25 March 2016. Retrieved 21 March 2016. 1 2 "Legionella (Legionnaires' Disease and Pontiac Fever) Clinical Features". CDC. October 28, 2015. Archived from the original on 12 March 2016. Retrieved 21 March 2016. ↑ Mandell, LA; Wunderink, RG; Anzueto, A; Bartlett, JG; Campbell, GD; Dean, NC; Dowell, SF; File TM, Jr; Musher, DM; Niederman, MS; Torres, A; Whitney, CG; Infectious Diseases Society of, America; American Thoracic, Society (1 March 2007). "Infectious Diseases Society of America/American Thoracic Society consensus guidelines on the management of community-acquired pneumonia in adults". Clinical Infectious Diseases. 44 Suppl 2: S27–72. doi:10.1086/511159. PMID 17278083. ↑ "Legionella (Legionnaires' Disease and Pontiac Fever) Prevention". CDC. October 28, 2015. Archived from the original on 12 March 2016. Retrieved 21 March 2016. ↑ "Legionella (Legionnaires' Disease and Pontiac Fever)". CDC. January 15, 2016. Archived from the original on 22 March 2016. Retrieved 21 March 2016. 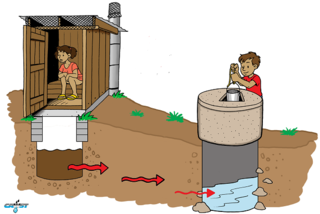 1 2 3 4 5 6 7 8 Legionella and the prevention of legionellosis (PDF). Geneva: World Health Organization. 2007. ISBN 978-9241562973. Archived (PDF) from the original on 2011-05-03. 1 2 3 4 5 6 7 8 Cunha, Burke A; Burillo, Almudena; Bouza, Emilio (2015). "Legionnaires' disease". The Lancet. 387 (10016): 376–85. doi:10.1016/S0140-6736(15)60078-2. ISSN 0140-6736. PMID 26231463. ↑ Mahon, Connie (2014). Textbook of Diagnostic Microbiology. Elsevier Health Sciences. p. 416. ISBN 9780323292610. Archived from the original on 2017-09-08. ↑ "Legionella (Legionnaires' Disease and Pontiac Fever)". CDC. January 22, 2016. Archived from the original on 1 February 2016. Retrieved 10 February 2016. ↑ Correia, Ana M.; Ferreira, Joana S.; Borges, Vítor; Nunes, Alexandra; Gomes, Bernardo; Capucho, Rui; Gonçalves, Jorge; Antunes, Delfina M.; Almeida, Sónia; Mendes, Ana; Guerreiro, Marta; Sampaio, Daniel A.; Vieira, Luís; Machado, Jorge; Simões, Maria J.; Gonçalves, Paulo; Gomes, João P. (January 23, 2016). "Probable Person-to-Person Transmission of Legionnaires' Disease". New England Journal of Medicine. 374 (5): 497–498. doi:10.1056/NEJMc1505356. PMID 26840151. 1 2 3 Fields, B. S.; Benson, R. F.; Besser, R. E. (2002). "Legionella and Legionnaires' Disease: 25 Years of Investigation". Clinical Microbiology Reviews. 15 (3): 506–526. doi:10.1128/CMR.15.3.506-526.2002. ISSN 0893-8512. PMC 118082 . PMID 12097254. ↑ "HSE – Legionnaires' disease – Hot and cold water systems – Things to consider". Archived from the original on 2016-03-29. ↑ van Heijnsbergen, Eri; Schalk, Johanna A. C.; Euser, Sjoerd M.; Brandsema, Petra S.; den Boer, Jeroen W.; de Roda Husman, Ana Maria (2015). "Confirmed and Potential Sources of Legionella Reviewed". Environmental Science & Technology. 49 (8): 4797–4815. doi:10.1021/acs.est.5b00142. ISSN 0013-936X. PMID 25774976. ↑ Winn WC Jr (1996). "Legionella". In Baron S; et al. Baron's Medical Microbiology (4th ed.). Univ of Texas Medical Branch. ISBN 978-0-9631172-1-2. Via NCBI Bookshelf. ↑ Makin, T (January 2008). "Legionella bacteria and solar pre-heating of water for domestic purposes" (PDF). UK Water Regulations Advisory Scheme Report: 4. Archived (PDF) from the original on 2016-03-05. ↑ Almeida, D; Cristovam, E; Caldeira, D; Ferreira, JJ; Marques, T (1 November 2016). "Are there effective interventions to prevent hospital-acquired Legionnaires' disease or to reduce environmental reservoirs of Legionella in hospitals? A systematic review". American Journal of Infection Control. 44 (11): e183–e188. doi:10.1016/j.ajic.2016.06.018. PMID 27524259. ↑ Winn WC (1988). "Legionnaires disease: historical perspective". Clinical Microbiology Reviews. 1 (1): 60–81. doi:10.1128/cmr.1.1.60. PMC 358030 . PMID 3060246. 1 2 "Legionnaire disease". Medline Plus. US National Library of Medicine. Archived from the original on 5 July 2015. Retrieved 5 August 2015. ↑ "Legionnaire disease". Encyclopædia Britannica. Archived from the original on 1 November 2013. Retrieved 30 October 2013. ↑ "Legionellosis". Massachusetts Department of Public Health. Bureau of Communicable Disease Control. November 2011. Retrieved 2012-11-12. ↑ Egan JR, Hall IM, Lemon DJ, Leach S (March 2011). "Modeling Legionnaires' disease outbreaks: estimating the timing of an aerosolized release using symptom-onset dates". Epidemiology. 22 (2): 188–98. doi:10.1097/ede.0b013e31820937c6. PMID 21242803. ↑ Reuters Editorial (29 July 2015). "Legionnaires' disease kills two, sickens 31 in New York City". Reuters. Archived from the original on 9 April 2016. Retrieved 31 March 2016. ↑ "One Dead in New Bronx Outbreak of Legionnaires' Disease". The New York Times. 1 October 2015. Archived from the original on 27 April 2016. Retrieved 31 March 2016. ↑ Associated Press (October 1, 2015). "Officials track down source of Legionnaires' in Calif. prison". CBS News. Archived from the original on November 11, 2017. ↑ Sarah Kaplan (14 January 2016). "Flint, Mich., has 10 fatal cases of Legionnaires' disease; unclear if linked to water". Washington Post. Archived from the original on 28 March 2016. Retrieved 31 March 2016. ↑ Renascença. "Legionella. Número de casos sobe para 53 - Renascença". rr.sapo.pt. Archived from the original on 1 May 2018. Retrieved 1 May 2018. ↑ "Third case of Legionnaires reported at Quincy veterans home". wqad.com. 29 November 2017. Archived from the original on 28 December 2017. Retrieved 1 May 2018. ↑ "Disneyland tower suggested as Legionnaires' disease source". Associated Press. 2018-12-05. Retrieved 2018-12-05.